This Asheville customer called us because they were having staining of fixtures and appliances. They had an existing system, but it wasn’t doing the job. 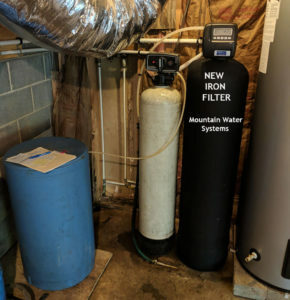 Since iron was the main issue, we replaced the old iron filter for a new upgraded iron filter. The new filter is capable of handling a higher water flow and has worked beautifully. Another happy customer! Mountain Water Systems products are the latest in water filtration technology.